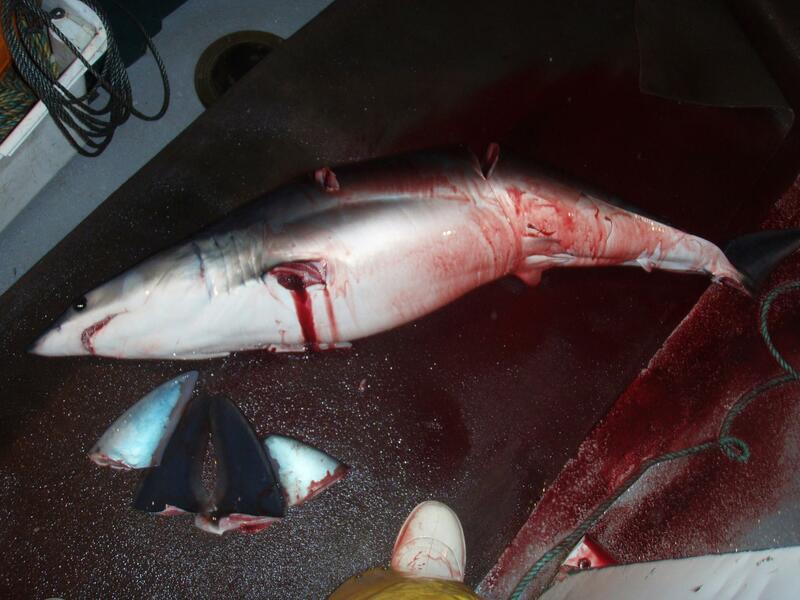 Lady throws a tantrum because she doesnt get to have you guessed it some yummy Shark Fin Soup. Would be a lot funnier if you understood Cantonese though. BTW What a stereo typical title. Well, it is really tasty. NGOR YEW SIK YUR TSI, MO HOR LUNG MO SAI AH!!! If this isn't fake, she must really like her shark fin soup. And yeah, that is a pretty ignorant title. I'll give a brief literal translation. Full of exclamation points and capitals of course. Crazy Lady: I DONT WANT TOO!! Why isnt there more shark fin soup?!?! I DONT BELIEVE IT, ITS NOT FAIR I WANT TO EAT SHARK FIN SOUP!! Theres all this fish here why isnt there anymore?!?! Lady: DID YOU HIDE IT?!?! Lady: I WANT TO EAT SHARK FIN SOUP!!!! WHY DID WE COME SO LATE EVERYONE ATE ALL OF IT!!!! Most of the video goes on like that until she notices the foreigners recording this epic moment. there are so many fish in the sea, how could you not have shark fin! I don't see why people enjoy shark fin so much... it tastes like nothing. This is only funny because she doesn't know the difference between fish and shark. "Practice, practice, practice. And when you're not practicing you should be practicing. It's the only way to get better. The only way." I run the Smix Fanclub!